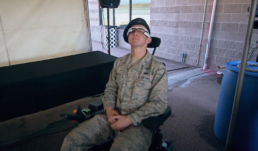 FalconWorks demonstrated in 2016 at USAFA that a modern wheelchair can be controlled with a pair of head mounted Recon-Jet glasses. The cadets won numerous awards and commendations for their work, which now allows a quadriplegic to control two different wheelchairs which have been donated. A longer term goal is to interface the glasses, through the cadet developed interface, to control a donated NASCAR. Funding is being sought to allow this development. 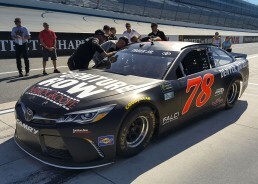 DireenTech was big part of the NeuroGroove Race Day at the Monster Mile in Dover, Delaware, September 26, 2017, hosted by Furniture Row Racing and Dover International Speedway. DireenTech, in conjunction with cadet teams at the Air Force Academy, and sponsored by FalconWorks, Falci Adaptive Biosystems and nuMotion developed a control system which allows a person with quadriplegia to drive a wheelchair with only head movements. The wheelchair was donated by Quantum and nuMotion. This technology was successfully demonstrated at the NeuroGroove Race Day. 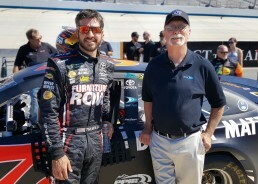 DireenTech has been tasked with further developing and bringing this technology to the NeuroGroove Race car to be demonstrated next Fall at the Dover International Speedway. 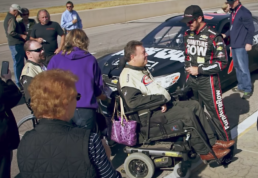 Check out Martin Truex Jr. showing fans with spinal cord injuries what it’s like to be a race car driver at Dover International Speedway on NBC Sports!